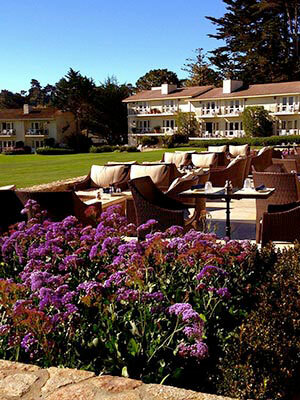 Charming and ultra romantic Carmel hotels and accommodations are a part of what makes this part of the Carmel coast so compelling as a top travel destination. What if you could escape to a romantic getaway that changed your life a little bit for the better... if what you thought was important actually became something different? 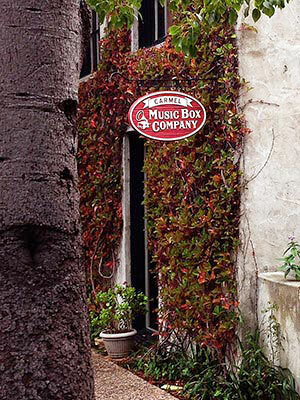 Whether your interests lies in proximity to the many boutique shops or outstanding dining choices, hiking trails along the ragged coastline above the once famous Bohemian gathering spot in the 1940's for artists and writers, or just strolling through the one square mile Carmel by the Sea, you will find quaint english cottages, historic grand lodges and Bed and Breakfast accomodations within steps of the ocean. 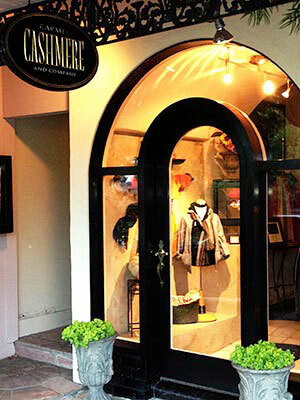 So be prepared for a wide variety of choices in hotels in Carmel, Ca. On my last visit to the Mission Ranch Inn and Restaurant for dinner, Clint stood next to me while in conversation and to my suprise he didn't look at all as tall as he was in the movies, or nearly as intimidating. 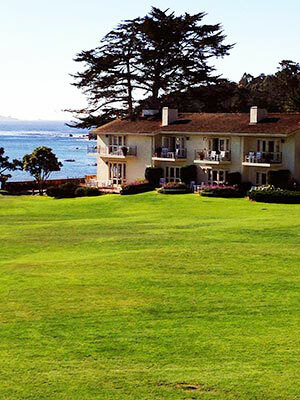 If you do decide to stay at this Carmel hotel, I suggest that you chose the Honeymoon cottage or the Farmhouse, and plan on lunch on the restaurant deck overlooking green pastures with herds of sheep and views of spectacular Point Lobos State Reserve and the Pacific Ocean in the distance. The Cypress Inn, at Lincoln and Seventh is still owned by Doris Day and is a popular landmark in this seaside community. You'll find very arttentive staff, and music in the downstairs bar and patio. This Vintage Inn with a very friendly staff cater to your every need. Close proximity to very fine restaurants in the seaside hamlet, the beach and shops is an outstanding choice if you are looking for in town accommodations. This Carmel landmark opened in 1929, and is right in the middle of the historic town and only a few steps away from several of my favorite restaurants. On Ocean Avenue just around the corner from the Cypress Inn, say hello to Luiz at Portebella Restaurant who is always standing outside the door to welcome patrons and see to every whim. He loves a great conversation and will tell you about Bing Crosby and the creatures of the night that used to frequent this establishment. 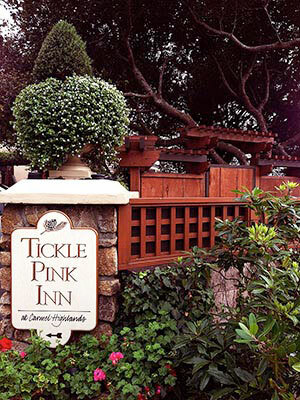 Yet another one of the top Carmel hotels is the Tickle Pink. 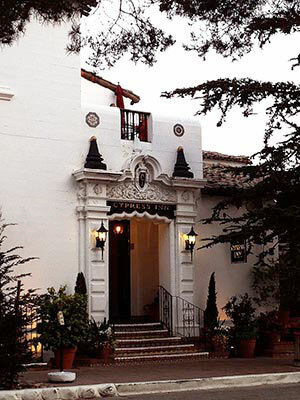 Staying at the Tickle Pink Inn you can learn the history of California senator Edward Tickle and his wife Bess who owned this gorgeous ocean view inn nestled in the Carmel Highlands. and, you can expect to be well taken care of. The Tickle Pink Inn is simply your perfect destination for celebrating anniversaries, or starting new romantic traditions. 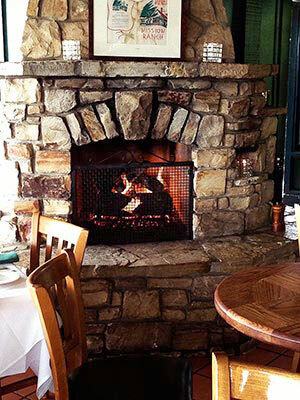 Attention to fine details will assure that your stay in Carmel is all you expect - and more. This is my number one pick for the Carmel Highlands section of the coast and if your trip includes traveling another twenty minutes to Big Sur, you will be well on your way. The Big Sur is dramatic with views in all directions. On the way stop by Rocky Point Restaurant perched on the cliffs of the Pacific Ocean, then on to views of the Point Sur Lighthouse where tours by docents can be arranged. You will also see dairy cows lazily grazing on the emerald green grassy edge of the Pacific Ocean. Maybe Stay Along Seventeen Mile Drive? All of these seventeen mile Pebble Beach drive possibilities are truly exceptional and are priced from spendy but wotrth it to elaborate and won't forget it. I would clearly visit each of these, have dinner or lunch, take in the scenery here and along the romantic seventeen mile drive, walk on the beach, listen to the seagulls and take it all in, and stay if it fits in your budget. There is nothing else thats quite the same. In between... there are unlimited choices that will appeal to every pocketbook and concept of romantic escape. Traveling on down the Pacific Coast you will find spectacular opportunities to stay in unique and fasinating Resorts and Inns. You can stay at a romantic cabin tucked discretly within a redwood forest or at Ventana where you can have complete privacy or at the Big Sur River Inn where for a lot less dollars you can enjoy sitting on a private deck while listening to the gurguling sounds of the Big Sur River. 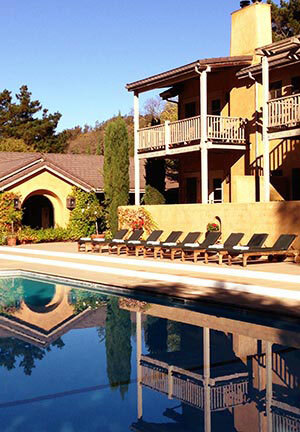 You could also stay at the Bernadus Winery and Resort a little deeper into the Carmel Valley. At the Bernadus Lodge, you are farway from the crowds and can easily learn to enjoy the rest and relaxation typically found at most Carmel hotels. Here you can find one of the most romantic Carmel Coast spa adventures that will spice up your stay. This upscale resort in Carmel Valley is situated in a setting of romatic roses and lavender, and warmed by the Carmel Valley sun. Guests dining at the on site restaurant can experience original dishes created by top chefs from local grown produce. Consider a stay at Carmel Valley Ranch where you will find one hundred and thirty nine luxiourous suites (be sure to try the Garland Suite with its wrap around deck and two fireplaces. Rooms have catherdal ceilings, fireplaces, private decks and two salt water pool on the grounds for supreme relaxation. Dine at he Lodge restaurant and then venture out for many miles of hiking trials thru the heritage and signature oaks that dot the entire resort. The newly renovated Quail Lodge in the scenic hills of Carmel Valley also have sumptious accommodations and that getaway feeling.